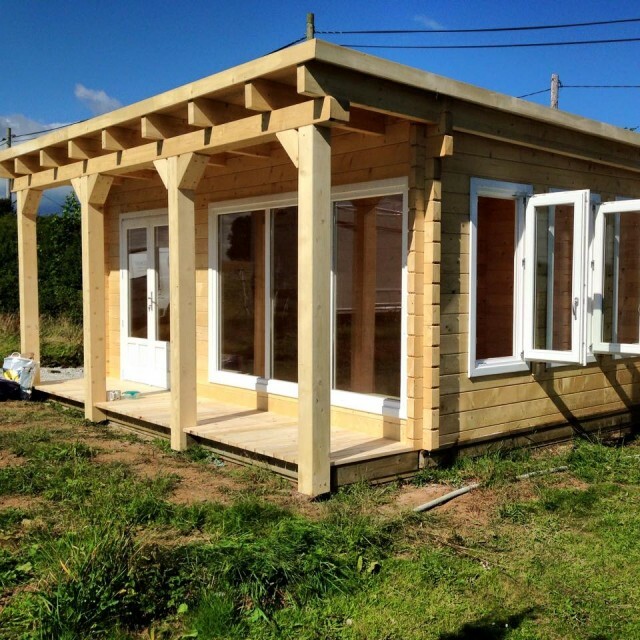 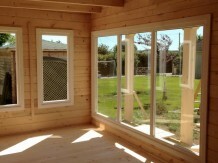 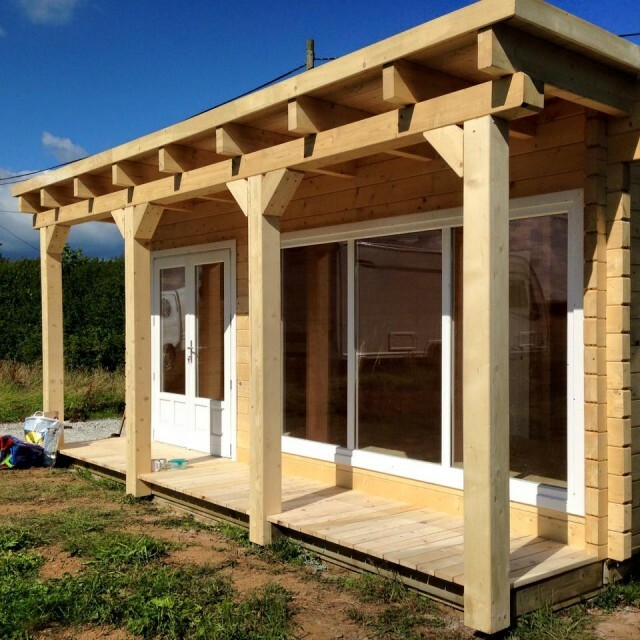 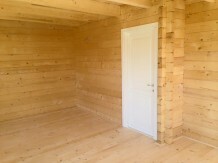 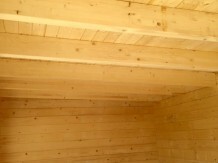 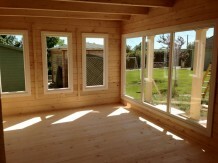 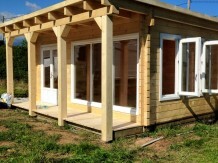 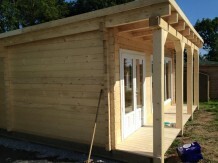 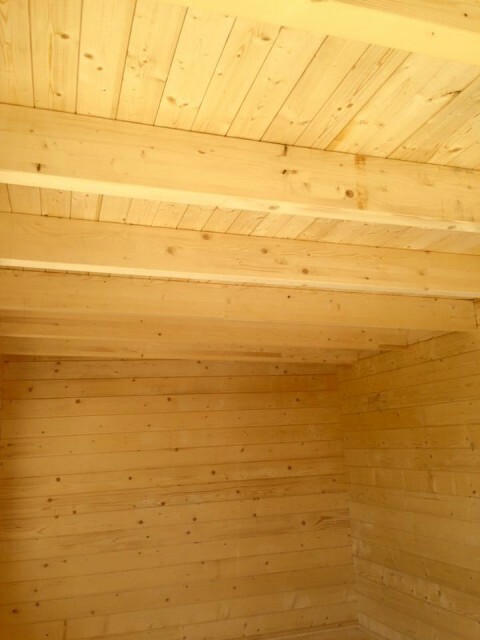 Here is a bespoke 8m x 6m pent roof log cabin we supplied and constructed in Cornwall. 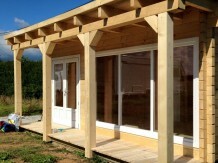 The logs are 80mm thick glulam logs. 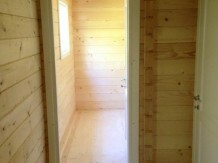 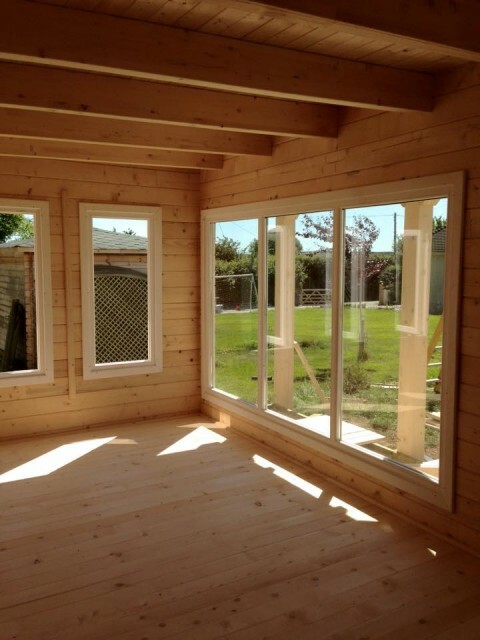 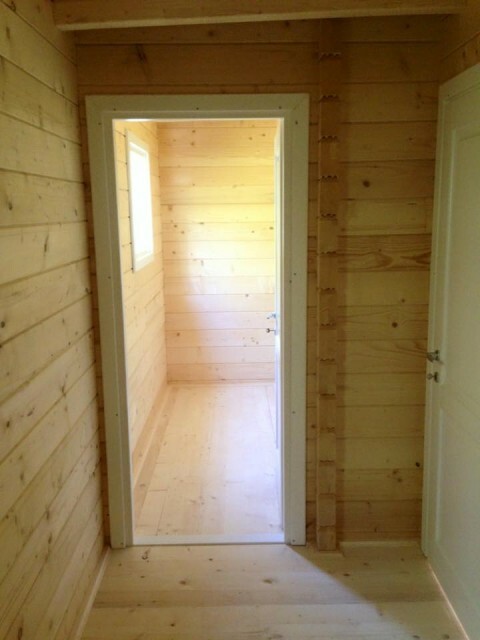 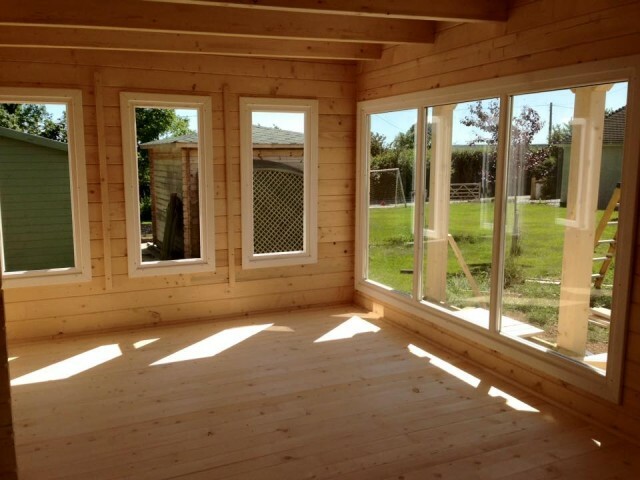 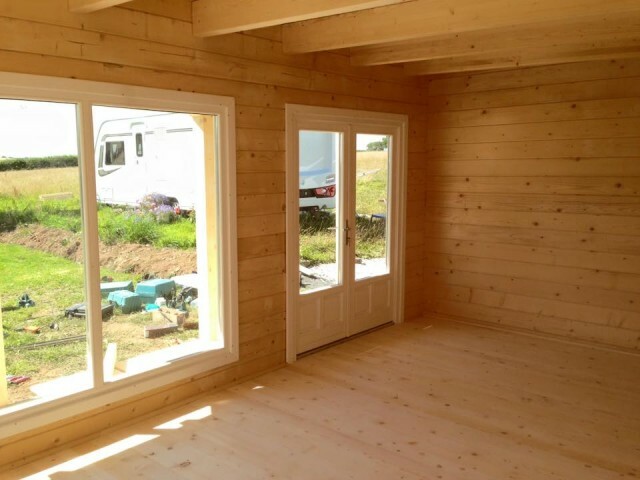 It is a single skin cabin with 50mm foil board insulation in the ceiling and floor. The windows and doors are all factory painted and open outwards.